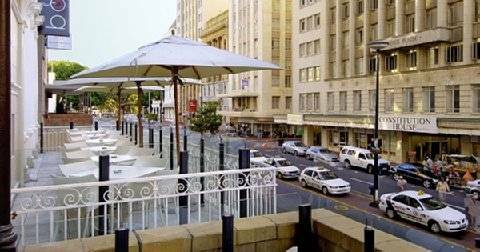 The ADDERLEY HOTEL in the heart of Cape Town's city centre blends gracious urban historic facades with chic 21st century luxury interiors and can be best described as "cool". 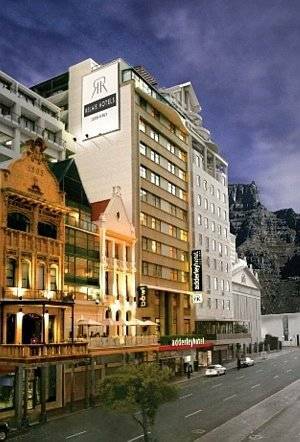 Situated in the historical end of Cape Town's main thoroughfare, Adderley Street and is well placed for corporate travelers with business interests in the city as well as for tourists who wish to experience Cape Town's finest leisure attractions.The hotel occupies a unique combination of three refurbished historical buildings (built in 1903) and an eleven storey tower. 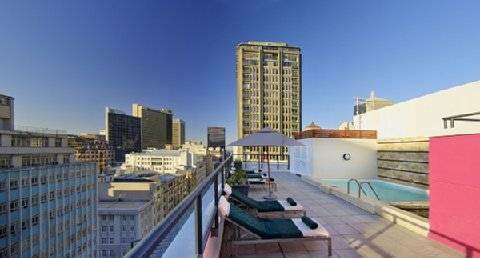 CLASSIC - JR_SUITE - The average suite measures a substantial 59 square metres and the design is modern, and spacious. The finishes are warm with natural textures, resulting in interiors that are subtle and sophisticated with the occasional splash of colour. Each suite has an en-suite bathroom complete with separate bath and shower, seating and dining area, business work station, fully equipped kitchenette and mini-bar. 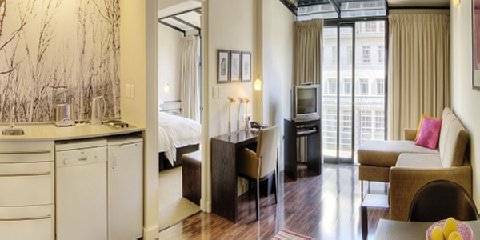 LUXURY - SUITE - The average suite measures a substantial 59 square metres and the design is modern, and spacious. The finishes are warm with natural textures, resulting in interiors that are subtle and sophisticated with the occasional splash of colour. Each suite has an en-suite bathroom complete with separate bath and shower, seating and dining area, business work station, fully equipped kitchenette and mini-bar. 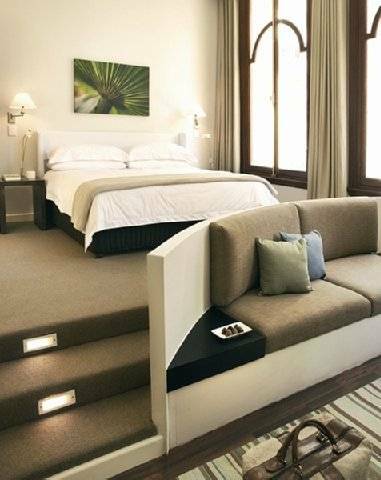 DELUXE - SUITE - The average suite measures a substantial 59 square metres and the design is modern, and spacious. The finishes are warm with natural textures, resulting in interiors that are subtle and sophisticated with the occasional splash of colour. Each suite has an en-suite bathroom complete with separate bath and shower, seating and dining area, business work station, fully equipped kitchenette and mini-bar.